Haunted by the freak accident that killed their father when they were children, Jim and Bob Burgess escaped from their Maine hometown of Shirley Falls for New York City as soon as they possibly could. Jim, a sleek, successful corporate lawyer, has belittled his bighearted brother their whole lives. Bob, a Legal Aid attorney, idolizes Jim and has always taken it in stride. But their long-standing dynamic is upended when their sister, Susan, urgently calls them home. Susan's teenage son, Zach, has gotten himself into a world of trouble and she desperately needs their help. And so the Burgess brothers return to the landscape of their childhood. Long-buried tensions that have shaped and shadowed their relationships begin to surface in unexpected ways that will change them forever. 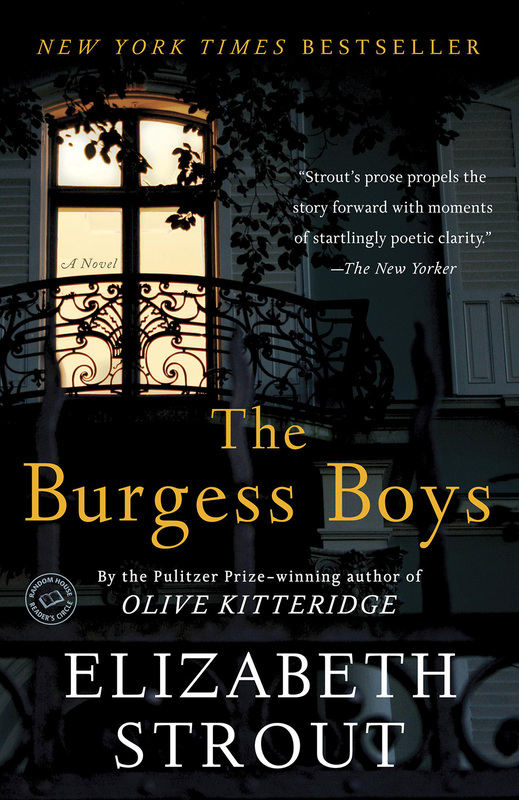 With a rare combination of brilliant storytelling, exquisite prose, and remarkable insight into character, The Burgess Boys is Elizabeth Strout’s newest and perhaps most astonishing work of literary art. — Elizabeth Strout, "Going Through Old Papers"
"A Reader's Guide" is included in the paperback edition.